Add chic style to your living space with this classy chair with a modern wing back style. 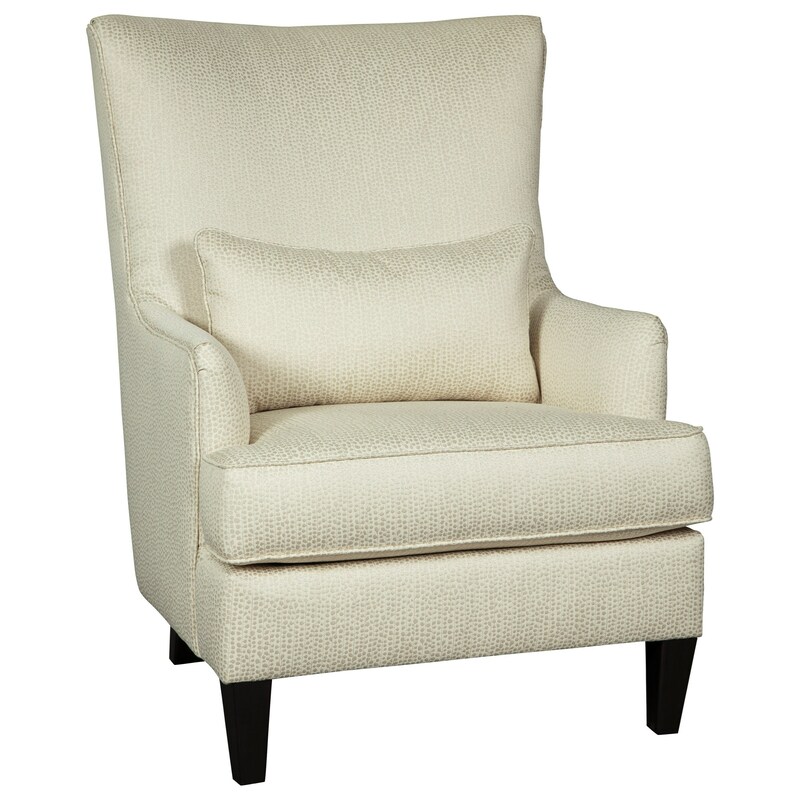 Slim flared arms, ivory fabric with a pebble design that has a subtle shimmer, and a lumbar pillow make this accent stand out in glam style. The Paseo Glam Modern Wing Back Accent Chair in Ivory Fabric with Lumbar Pillow by Signature Design by Ashley at Value City Furniture in the New Jersey, NJ, Staten Island, Hoboken area. Product availability may vary. Contact us for the most current availability on this product.